Restylane injectable gel is the world’s most studied wrinkle filler, with more than a decade of use. Patients can see immediate results with smoothening of their wrinkles. Restylane is specifically formulated to act like your body’s own hyaluronic acid and eventually breaks down naturally. There are three types of Restylane injections, including Restylane-L for most common Restylane usage, Restylane Silk for lip enhancement and fine lines, and Restylane Lyft for deeper lines and cheek augmentation. Restylane, an FDA-approved product in over 65 countries, adds volume and fullness to your skin, to correct moderate to severe facial wrinkles and folds. 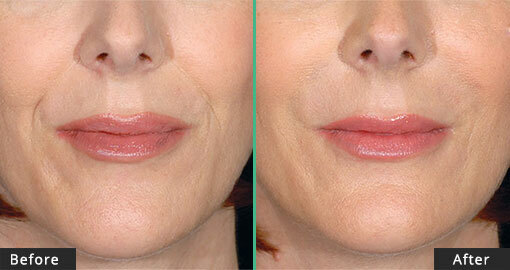 It also has shown excellent results for lip enhancement. Properly applied by an experienced professional, this clear gel formulation of hyuralonic acid can give you a healthy, youthful appearance. Schedule your appointment now to find out why people from Tarzana, Encino, Sherman Oaks, Woodland Hills, Calabasas and the entire San Fernando Valley prefer Tarzana Cosmetic MedSpa! Results images courtesy of Galderma Laboratories, L.P. The Restylane family of products includes Restylane®, Restylane-L®, Restylane® Silk, Perlane®, and Perlane-L®. Restylane, Restylane-L, Perlane, and Perlane-L can be used to add volume and fullness to the skin to correct moderate to severe facial wrinkles and folds, such as the lines from your nose to the corners of your mouth (nasolabial folds). Restylane, Restylane-L and Restylane Silk may also be used for lip enhancement in patients over 21 years. 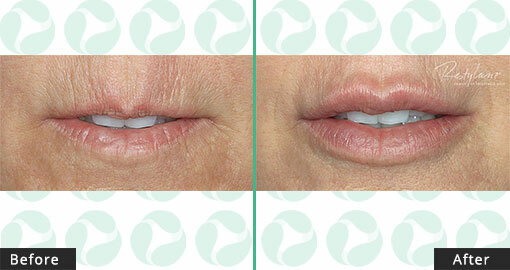 Restylane Silk can be used to treat lip lines in patients over 21 years. Ask your doctor which is right for you. Restylane injectable gel is the world's most studied wrinkle filler with more than a decade of use. Restylane has been used in more than 15 million treatments in more than 65 countries worldwide. * Products in the Restylane family have well-defined safety profiles and are approved for the treatment of moderate to severe facial wrinkles and folds, such as the lines from your nose to the corners of your mouth (nasolabial folds). Perlane-L is now Restylane® Lyft. Get Up Lyfted Natural-looking volume and definition for your cheeks. Restylane® Lyft is now approved by the FDA for cheek augmentation and the correction of age-related midface contour deficiencies in patients over the age of 21. 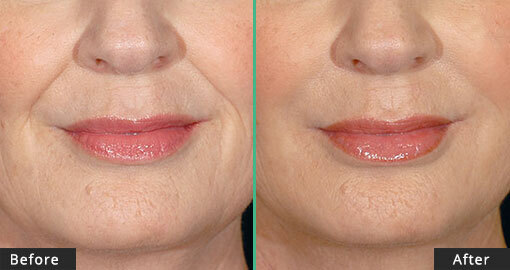 This is in addition to treating moderate-to-severe facial wrinkles and folds, such as nasolabial folds (smile lines). As we age and our faces lose volume, some of us begin to look for ways to regain more definition in our cheeks without surgery. Restylane Lyft, formerly known as Perlane-L®, is an injectable hyaluronic acid gel used to correct volume loss and treat wrinkles in the face. Restylane Lyft is the first and only FDA-approved filler indicated to provide lift to cheeks and add volume to correct and smooth smile lines (nasolabial folds). What if you could make a big difference to the way you feel by making a small change to the way you look? As we age, our skin loses fat, collagen, elastin and hyaluronic acid, which offer facial volume and support. The bony structure and the muscles also lose volume. Over time, we start to see formation of lines, wrinkles and folds, as well as loss of volume, showing the visible signs of aging. The Restylane dermal filler gels resemble your body’s own hyaluronic acid, and are specifically designed to work within the different layers of the skin to replace or restore facial volume and improve the quality and integrity of your skin. Dermal fillers are non-permanent, putting you in control of the way you look. There are three type of Resytlane injections: 1. Restylane-L, Restylane Silk, and Restylane Lyft. Silk is the softest one and mostly used for lip enhancement and finer lines. Lyft is thickest one and used for deeper lines and cheek enhancement. Restylane-L is the regular restylane which is the moderate version of the two.